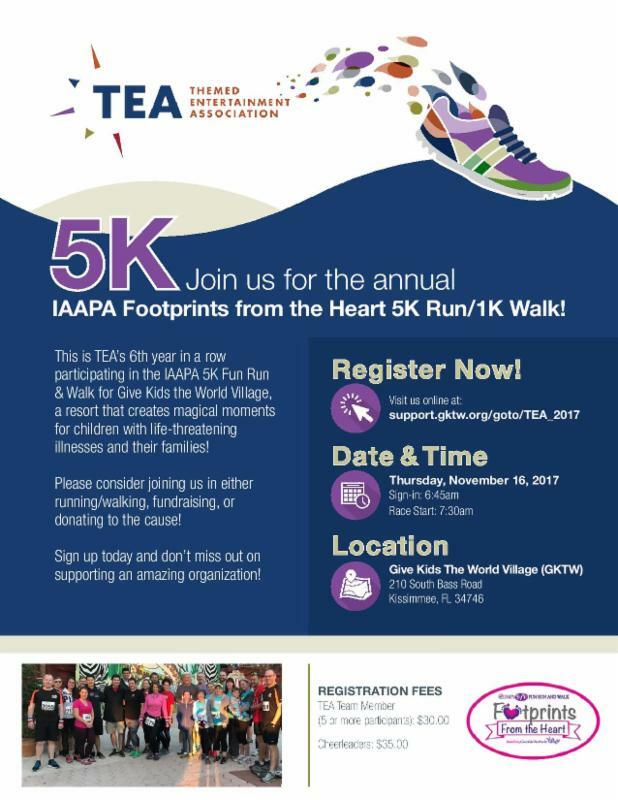 This is TEA's 6th year in a row participation in the IAAPA 5K Fun Run & Walk for Give Kids the World Village, a resort that creates magical moments for children with life-threatening illnesses and their families! Please consider joining us in either running, fundraising, or donating to the cause! Registration includes race ticket and racer medal.